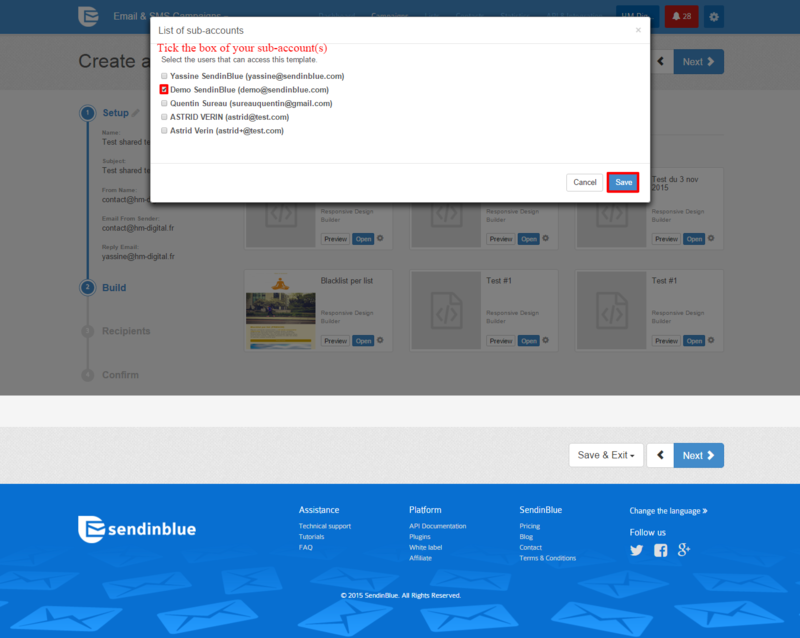 SendinBlue White Label users can create email templates in their administrator account and share them with their desired sub-accounts. This time-saving feature eliminates the need to re-create the same email templates in each sub-account. To create a shareable template, simply follow the regular email creation process. However, you only need to perform Steps 1 and 2. (review our tutorial about creating your first campaign to learn more). 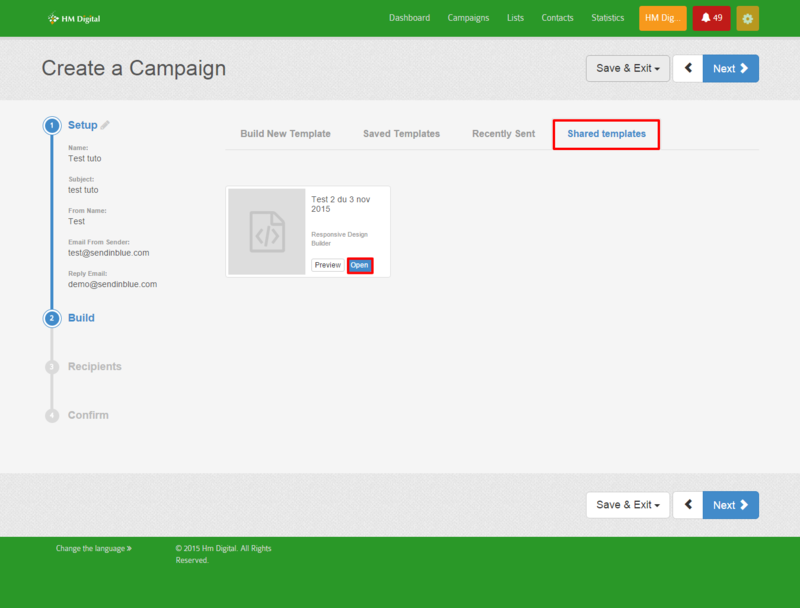 After creating your template, save and exit the campaign builder. Once your template is created, you can select the sub-account(s) to share it with. Create a new email campaign. 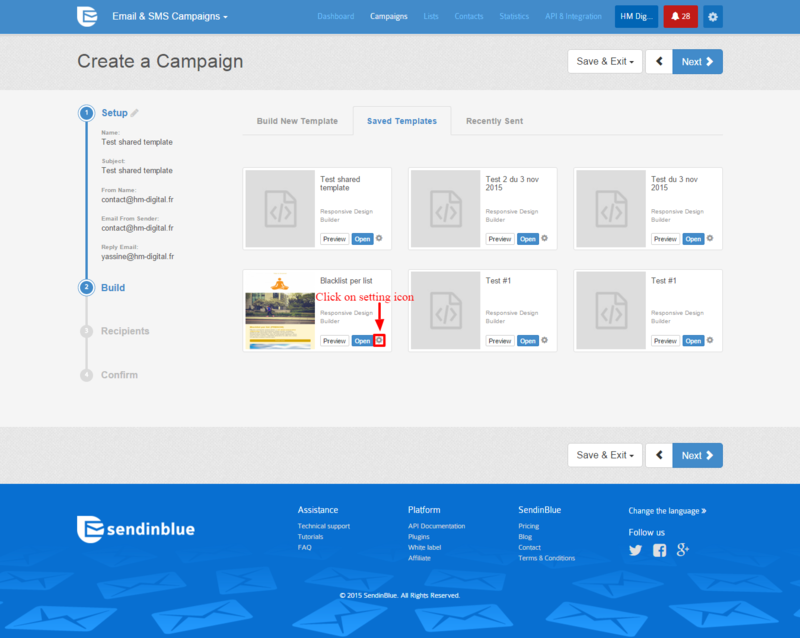 In Step 2 of the campaign creation process, go to the "Saved Templates" tab. Click on the settings gear to see sharing options. Select the sub-account(s) that you wish to share the template with. Once shared, the new template(s) will be accessible from the selected sub-accounts. To use a shared template, create a new campaign within a sub-account. 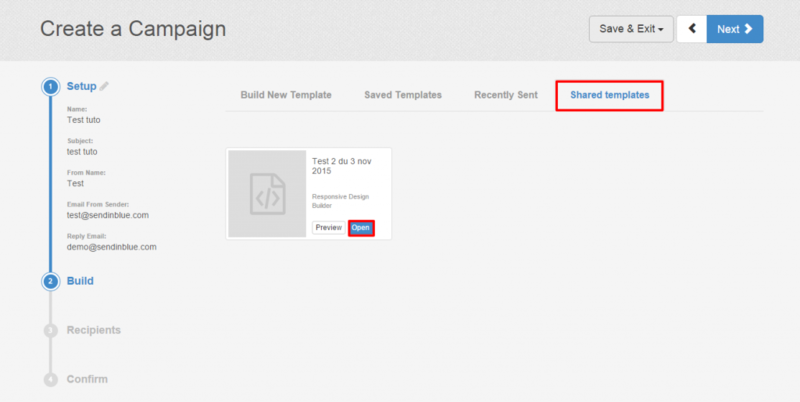 During Step 2 of the creation process, open the "Shared Templates" tab and select the desired template. Then, the campaign’s design can be finalized and sent from the sub-account. Tip: Consider personalizing your email content. Learn more here.